1. 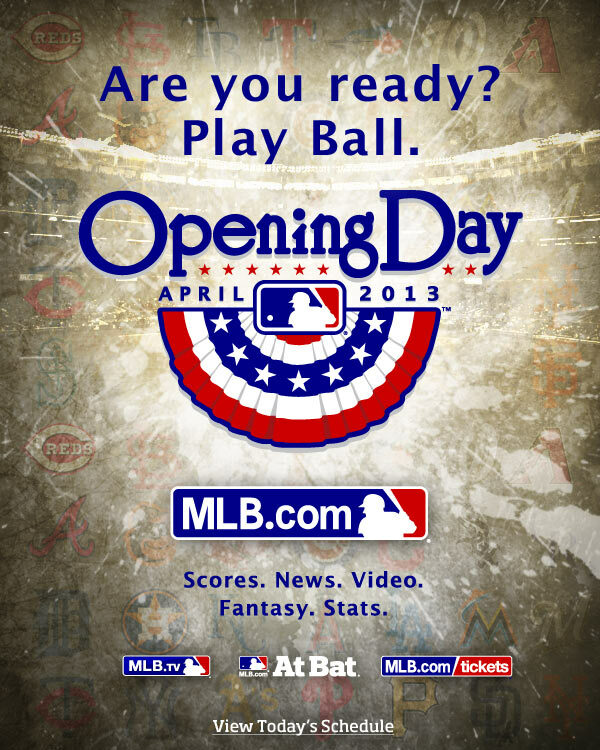 IT'S BASEBALL SEASON!!!!!!!!!!!!!!!!!!!!!!!!!!!!!!!!!!!!!! Love. LoVE. LOVE. 2. This Easter weekend was pretty fantastic. The Pilot was in town and we headed to the National Kite Festival on Saturday. It was amazing and one of my favorite things I've done in DC since I've moved here. Love. 3. I did not run 20 miles this weekend. I didn't run at all this weekend and I am totally ok with that. Love. 4. Did I mention that it's BASEBALL season? Love. 5. I mentioned last week that The Pilot and I finally found a church after shopping around for 3 months. Yesterday, we went to Easter Mass and it was awesome. After Mass, we went to brunch at this place in Clarendon that I had super low expectations for, but ended up being spectacular. I think we just found our new Sunday morning ritual. Love. 6. This weekend is the Cherry Blossom 10 Mile! I can't wait to finally run this race. I just need to make sure that I don't hop on any planes this weekend or throw out my back on my way to the start line on Sunday! Love. 7. It actually legitimately feels like spring today! I left the house without a jacket! AND I WASN'T COLD! Love. So that's that, lots of love in the air today. 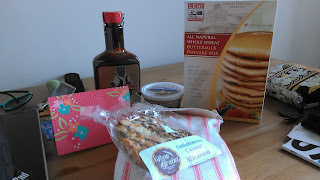 Now, let's talk about the awesome Foodie Pen Pal box I received from Kimi in March. 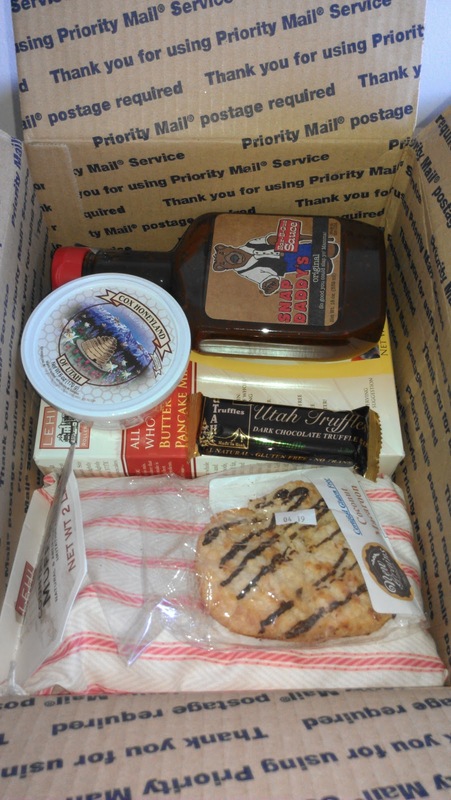 Kimi blogs over at Utah Munchies and she definitely sent me a handful of Utah munchies which I thought was such a cool idea. I need to find out if there are specific DC munchies that I can send to my next foodie pen pal. 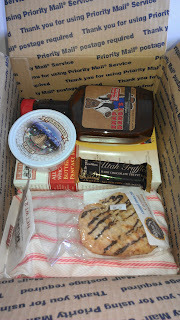 Kimi sent me an assortment of goodies from Utah including Buttermilk pancake mix (which I made waffles with...and they were amazing), raspberry muffin mix, bbq sauce, a mint truffle chocolate bar (which I devoured post-run on my way to trivia last week), a coconut macaron (yum!) raspberry creamed honey. I've never had raspberry creamed honey but it's so good! I was very pleasantly surprised with all of my goodies! They've all been fantastic so far and I can't wait to keep trying them! Thanks Kimi! Sadly, I'm not going to Opening Day because I have a silly thing called work BUT I will be at the Nationals game on Thursday and will hopefully make it up to a Mets game soon =/. I hope everyone had a fantastic Easter weekend and is having a great start to the week! Wow sounds like a great weekend! Glad to see you liked the package. I seriously love everything from Lehi roller mills and I'm glad you liked their pancake mix. 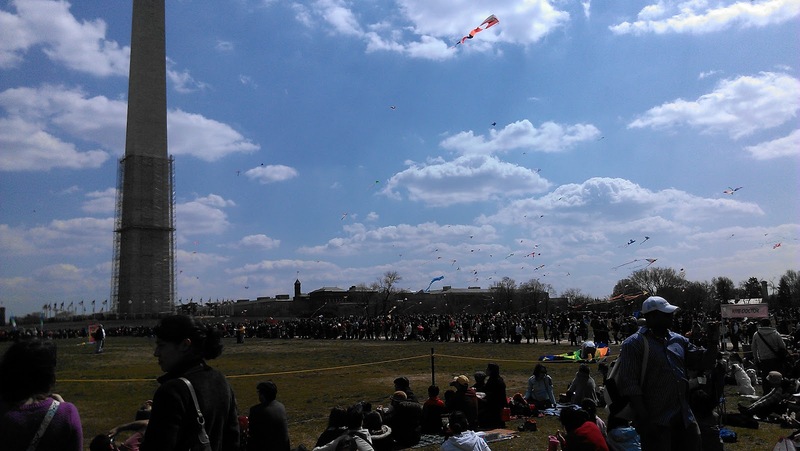 I have always wanted to be in DC during the kite festival, I'm going to have add it to the bucket list. So excited that baseball is back!!! YAHHH BASEBALL :-D Best time of the year :) I hope you have a great time at the game tomorrow, and I hope the run goes well!! !